It has been about a year since I restarted posting content on this blog on a regular basis. It is therefore a good time to assess what is working and what is not working and make some changes to how I use my time to get my ideas out there. As we all know, there is only so much time in the day. Therefore, something has to give. Currently, my time is split between posting here, keeping up with current trends in the marketing, public relations, and retail worlds, training, working, and searching for work. Lately, I have been thinking about these activities and if they are actually helping me achieve my goals. Often, if we write down the goals that want to achieve, it makes it more likely that we will accomplish them. That is what this post is intended to do. Therefore, this post isn’t going to be like the rest of the ones on this blog. I understand that it might not be of interest to everyone. Therefore, it is okay to stop reading. I will see you next week. For those of you interested in my thought process, I plan to give some quick thoughts on blogging, social media, and where you can find me in other places on the Internet. There have been many articles written that point out that bloggers are getting a lot more views and engagement on posts published on LinkedIn Pulse and Medium. This has me thinking about where and how I publish. In the next few weeks, I plan to start publishing articles on LinkedIn Pulse. It seems like this is a great place to reach people when they are thinking about work. Some bloggers suggest posting the same content on your own blog and on LinkedIn Pulse and Medium. I haven’t decided if this is the best way to go yet. This is a question that I plan to ask other bloggers at the Minnesota Blogger Conference at Concordia University in Saint Paul, Minnesota, on October 15, 2016. If you are going to be at the event, feel free to say hello. 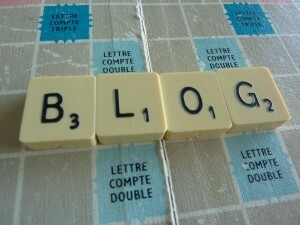 I am also thinking about blogging about different topics. This might be how I use Medium. Or I might try some other blogging site. I had been using HubPages to post non-marketing content. I plan to give that a try again, too. If I do start to post elsewhere, I will let people know on Twitter and include links to some of the best content on this site. I am also open to writing guest blog posts. If you need a content writer, let me know. Social Media – Twitter, Facebook, LinkedIn, Snapchat, Instagram, Pinterest, Etc. If you follow me on Twitter, you know that I announce new blog posts there. I haven’t been promoting my blog anywhere else. However, I really should be sharing my post on LinkedIn. It’s on my must-add list. Facebook would be a good place for non-marketing posts. Also, video is big. I plan to explore that more. I have already started to use Vine for personal posts. However, YouTube might also be in my future. I have also been thinking about ways to promote the blog on Snapchat, but it doesn’t seem like the right place unless I add more networking into the mix. Anyway, I plan to start attending more networking events in the Twin Cities. In 2011 and 2012, I was attending events hosted by the Minnesota Chapter of the American Marketing Association (MNAMA) and the Minnesota Interactive Marketing Association (MIMA). I plan to start attending some of their events again. I also plan to explore other events in the area, too. We are all overloaded with information. Whether at work or in our personal lives, finding the right way to reach people is a must. With all the rapid changes in the world, we need to constantly adjust what we do. What works today might not work next year or even next week. And, if you know of anyone looking for a marketer with experience and training in mobile marketing, content marketing, social media marketing, email marketing, market research, project management, inbound sales, and community outreach, feel free to have them contact me. I am actively looking for a marketing job in the Twin Cities. Photo credit: Christophe BENOIT on Flickr.